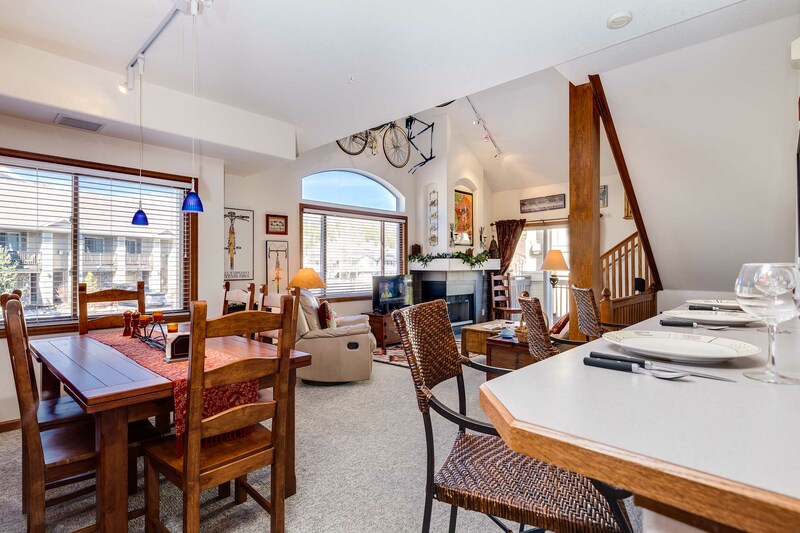 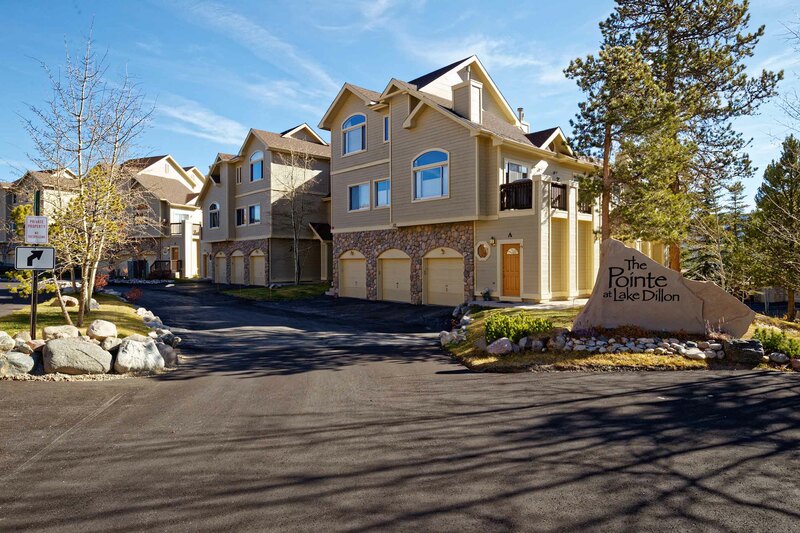 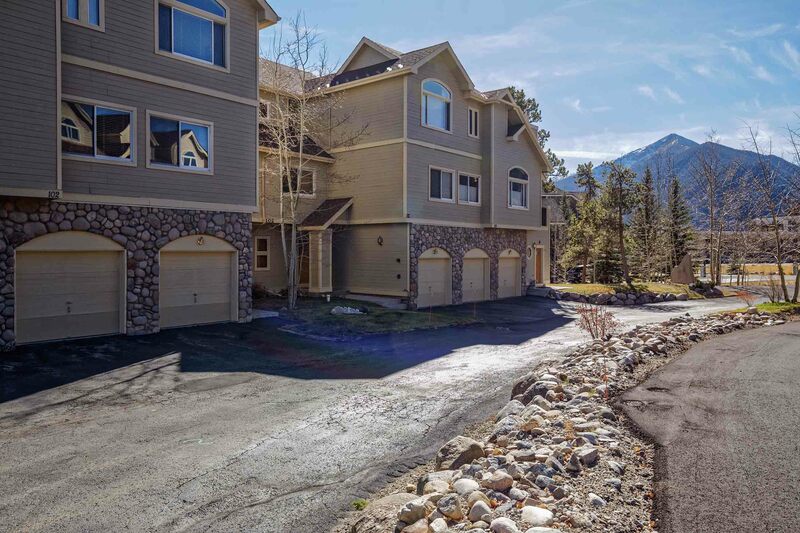 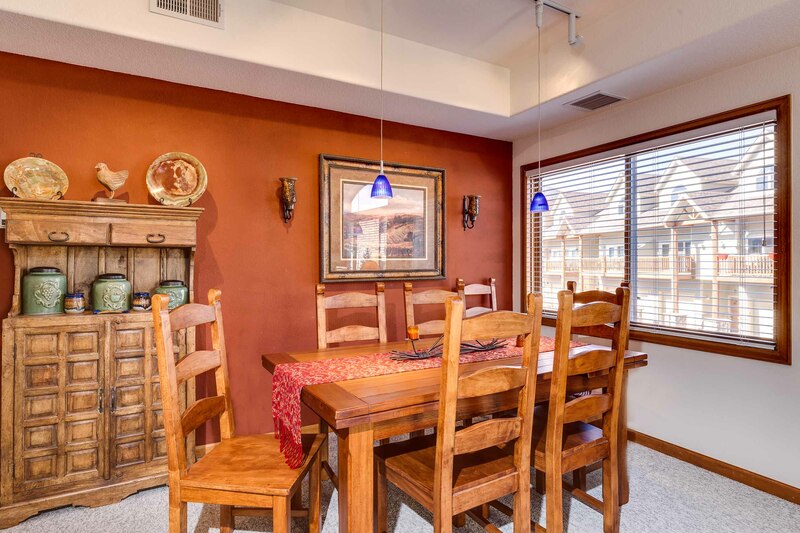 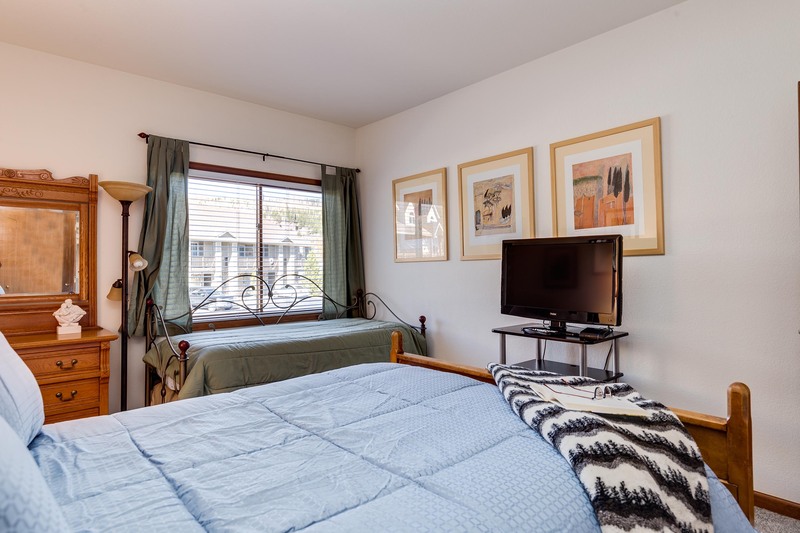 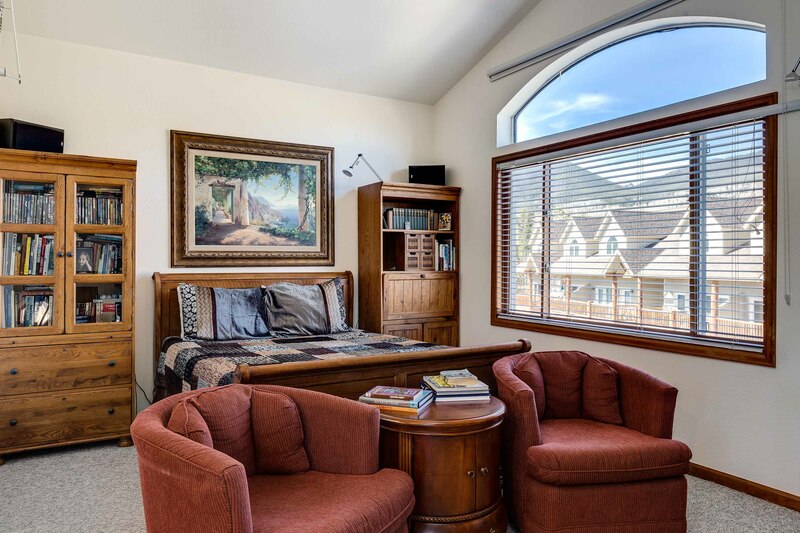 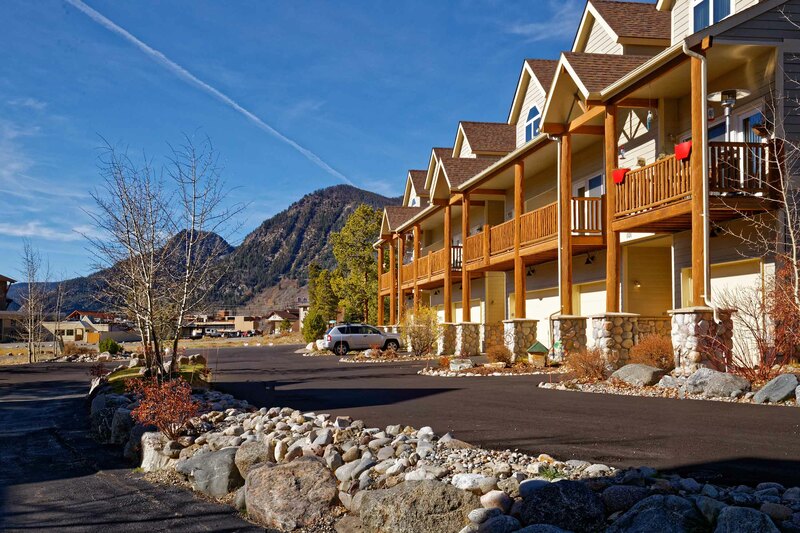 Our Tour De Pointe condo is located in the Pointe at Lake Dillon condos, which are in a fantastic Frisco location near Lake Dillon and the bike paths that go all over Summit County. 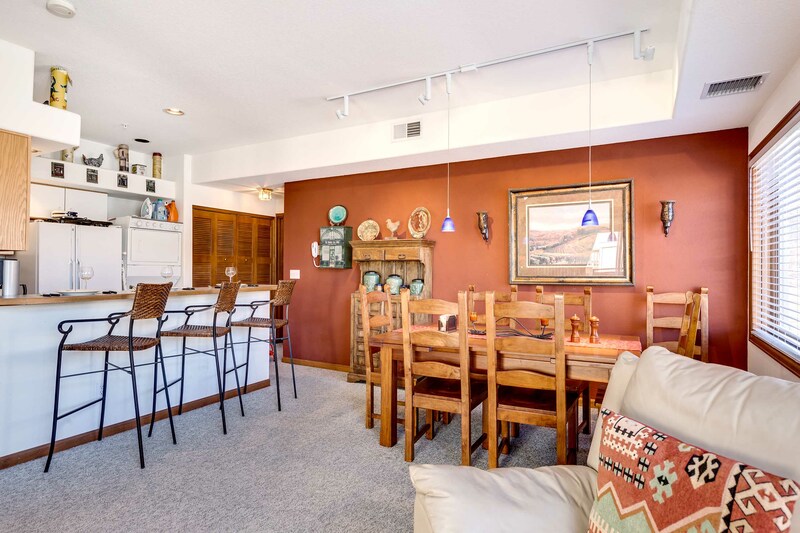 Frisco itself is a great spot year-round: close to world-class ski resorts and a beautiful Main Street full of all the shopping and dining you could hope for! 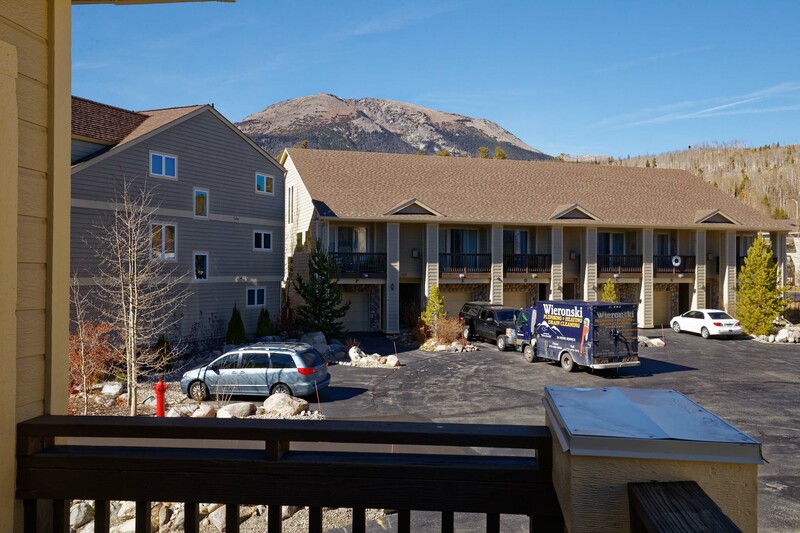 This location near Lake Dillon also makes it easy to get out on the water in the summer and enjoy the fabulous views of the Tenmile Range and Buffalo Mountain. 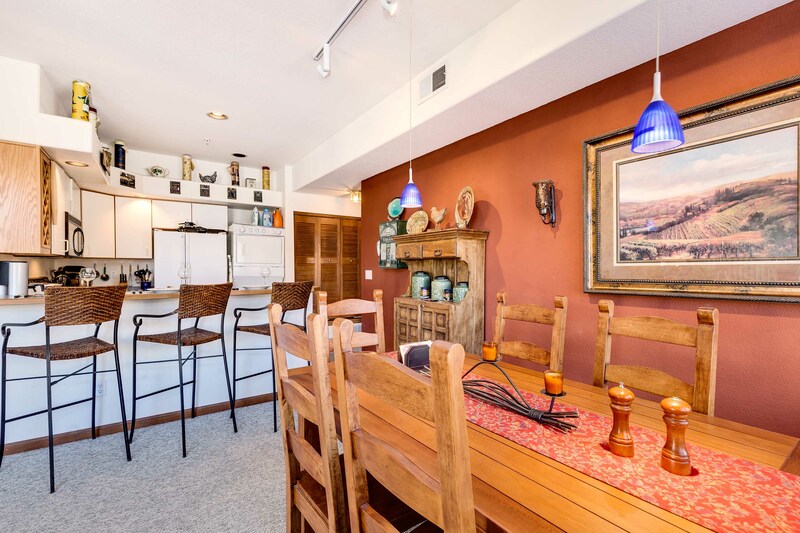 This 1-bedroom + loft, 2-bathroom moderate condo is the perfect getaway for families or groups of up to 6 people. 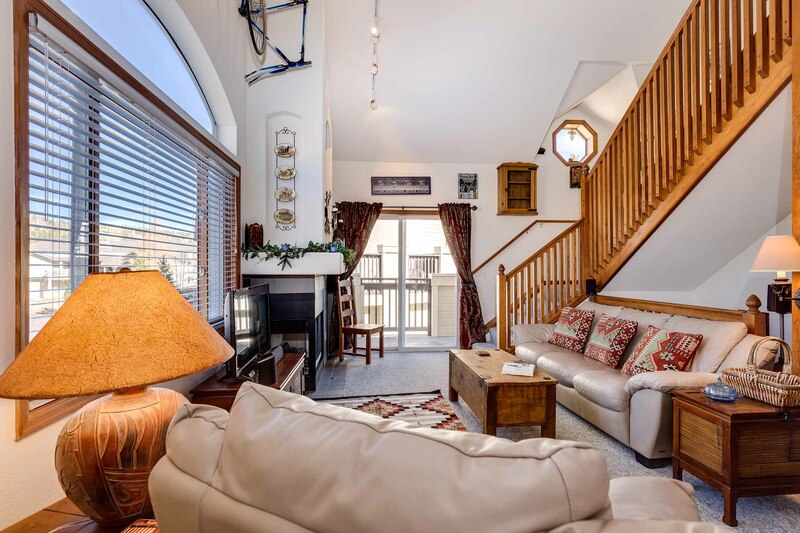 The living room is the perfect place to relax and chat by the gas fireplace after a day of adventure in the mountains. 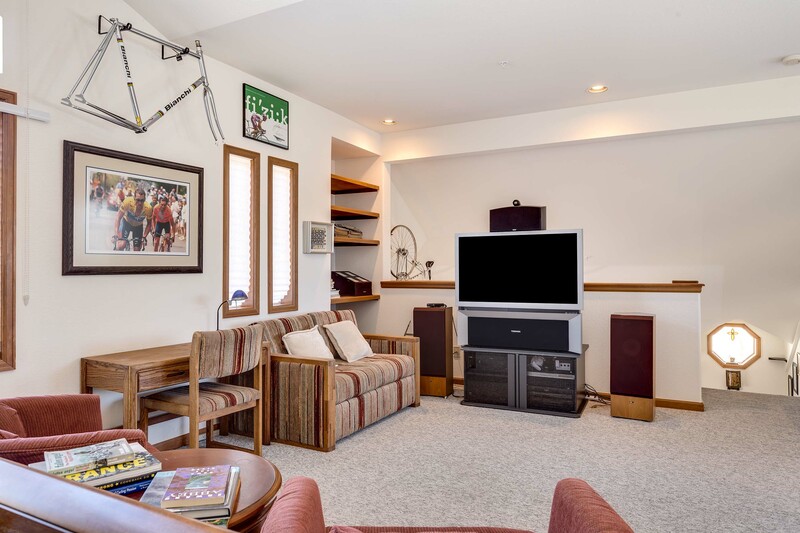 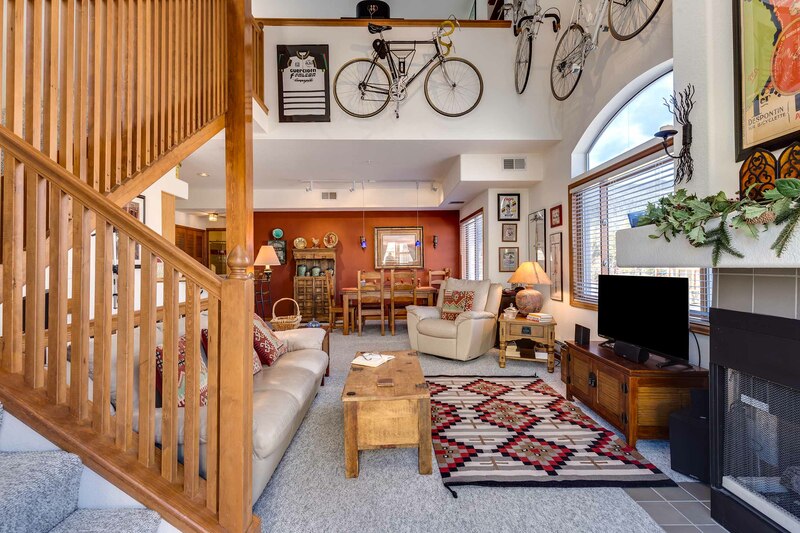 You’ll love the road-biking décor and memorabilia that the townhome is full of; it’s a fun way to check out the history of biking through the years! 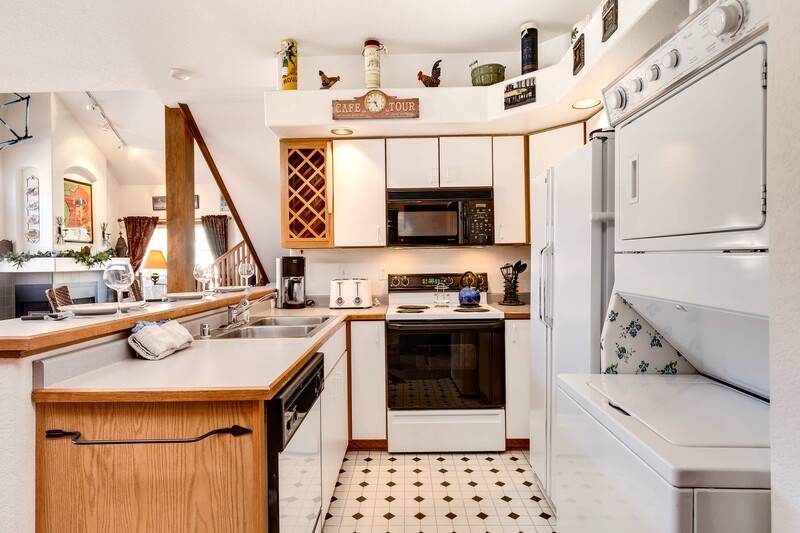 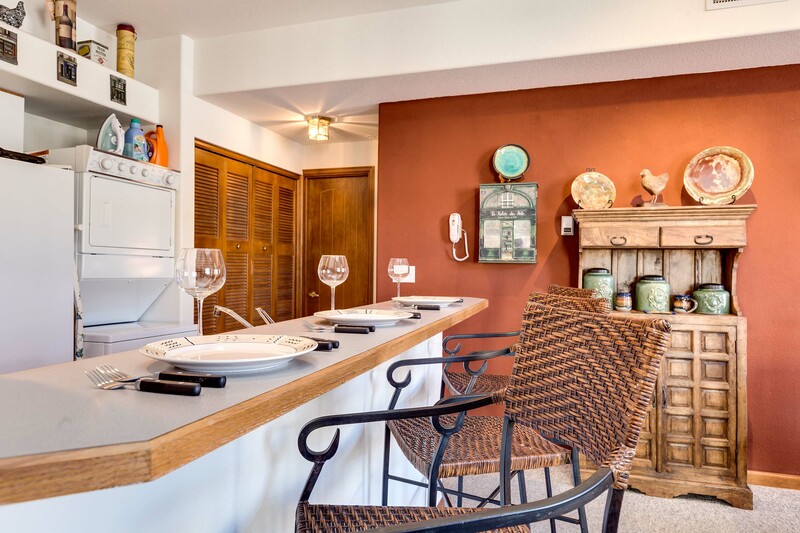 The fully equipped kitchen has everything you’ll need to make great meals for your whole group; there’s seating for six at the dining table and room for three more at the breakfast bar. 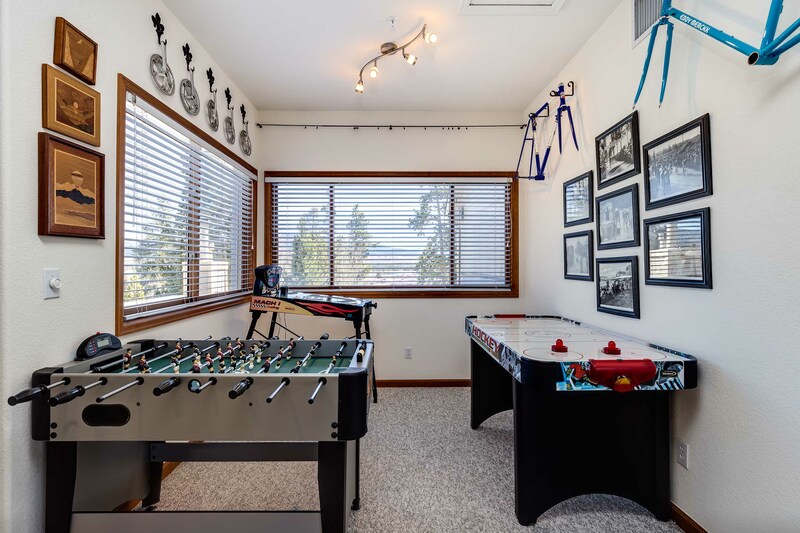 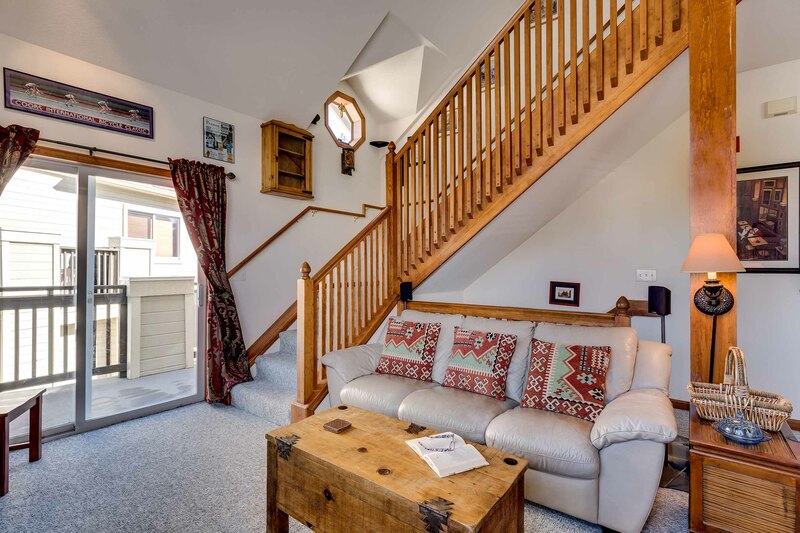 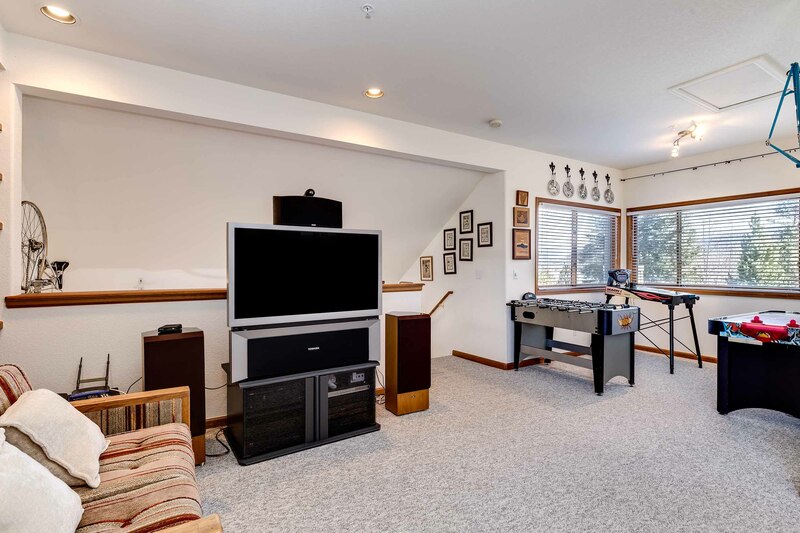 You’ll love going up to the loft area and playing games like air hockey and foosball while watching TV on the huge flat-screen TV! 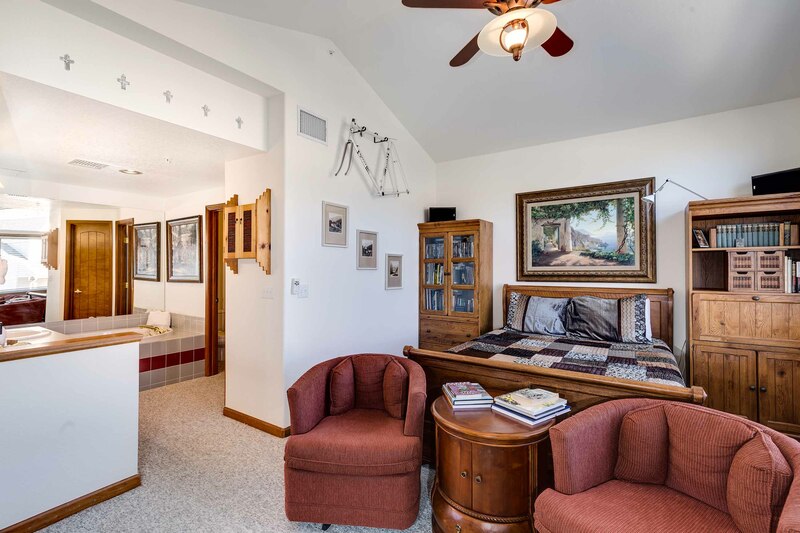 Even better, there are great views of Buffalo Mountain from the loft. 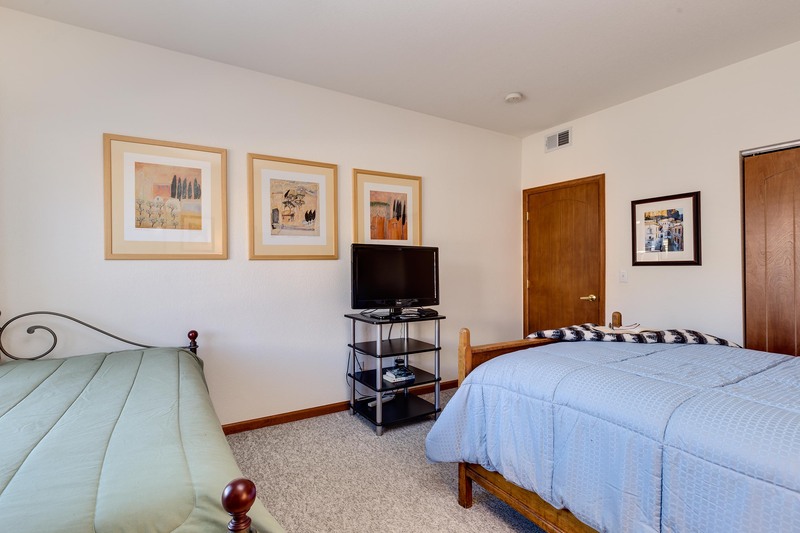 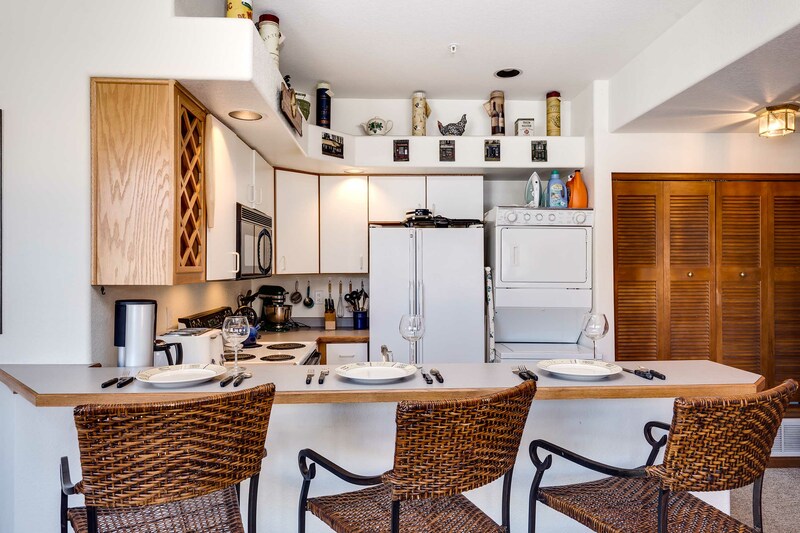 Other amenities include a washer/dryer in the condo, a one-car garage with driveway parking for one additional vehicle (2 vehicles total) and complimentary Wi-Fi. 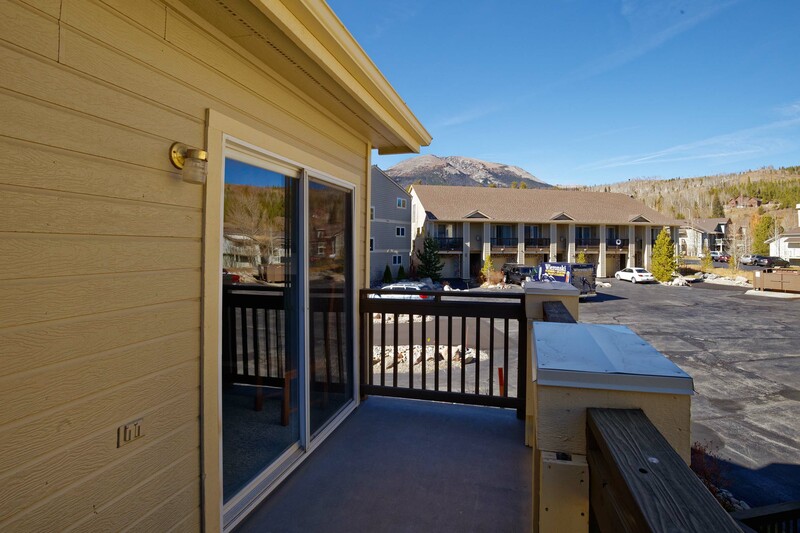 Don’t miss out on this condo’s fantastic value and location! 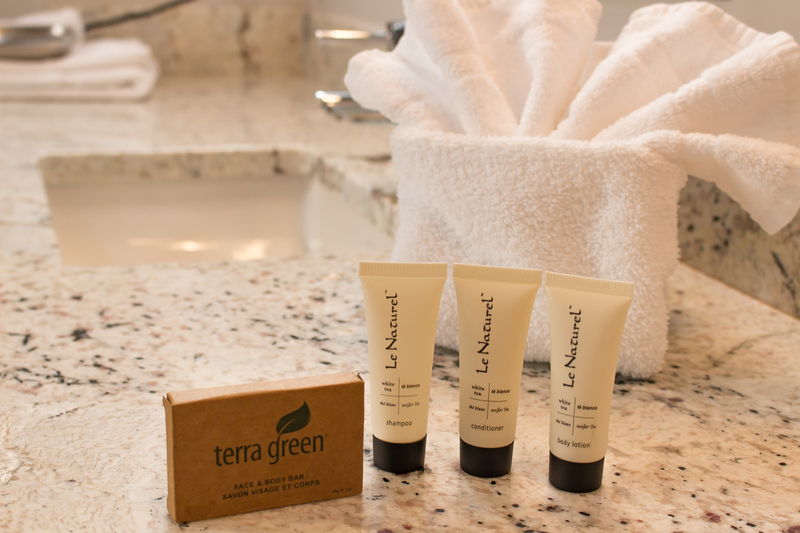 Call or book online today. 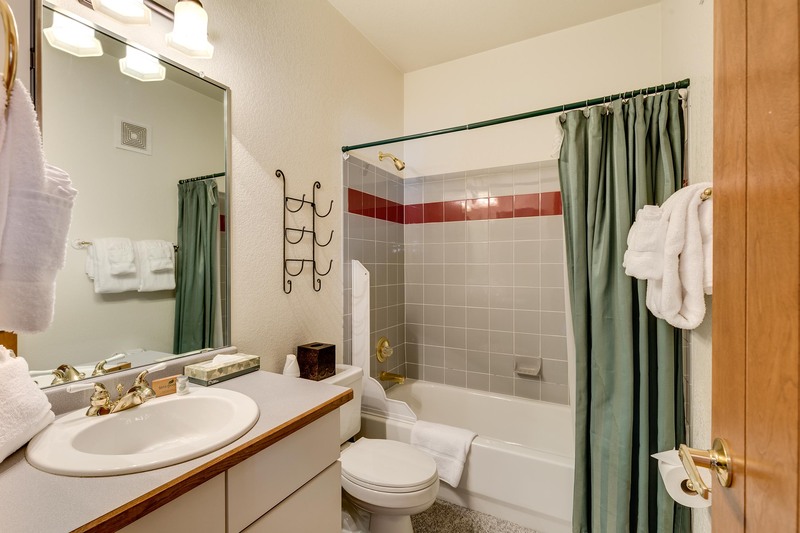 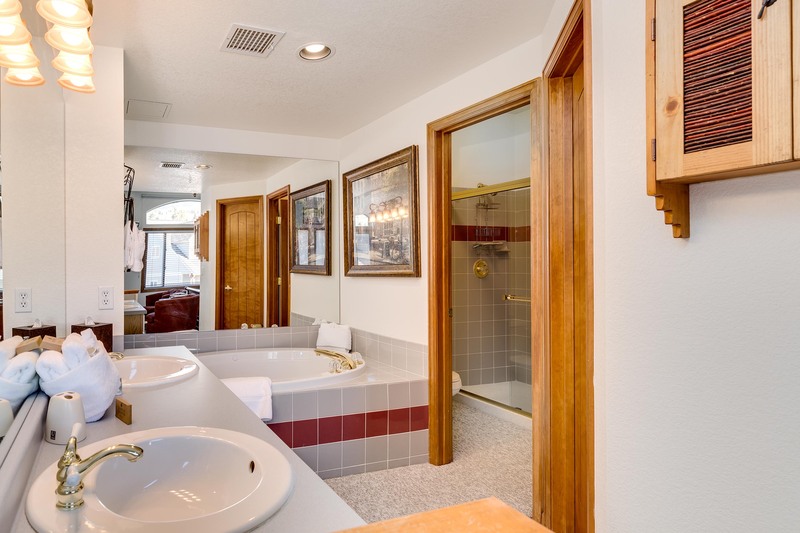 - Bathroom: tub with separate walk-in shower. 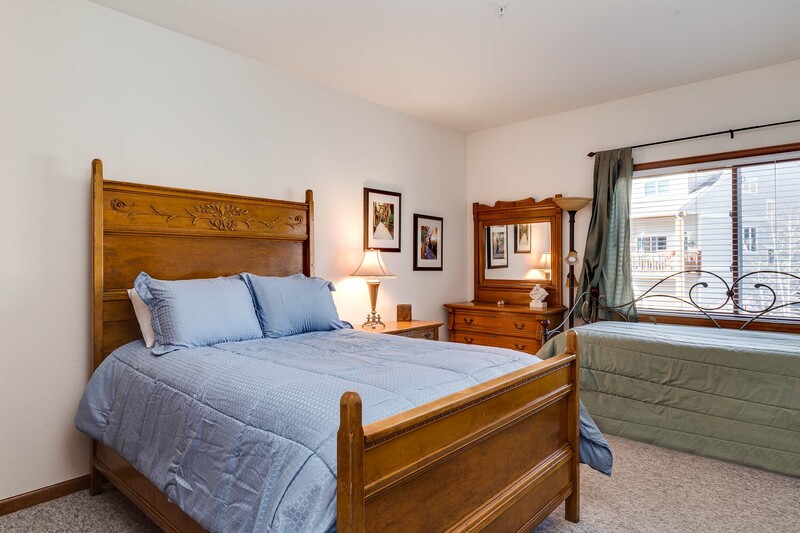 - Bedroom: full bed, daybed with trundle. 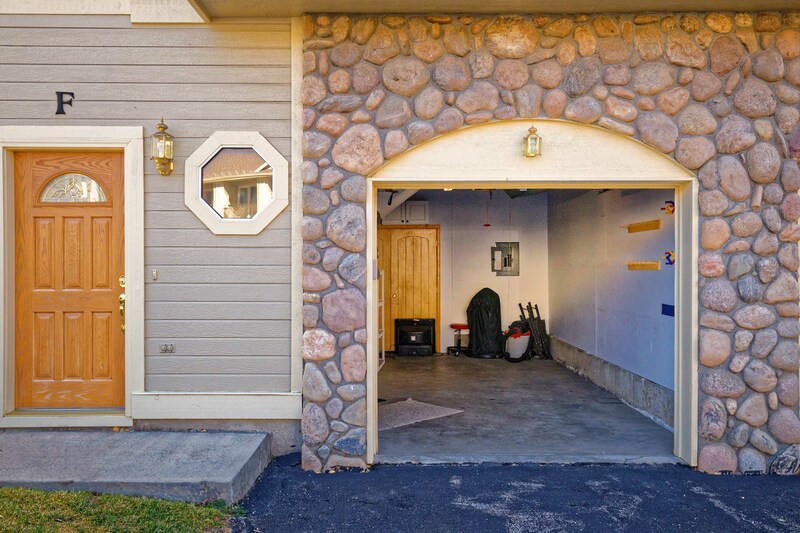 - Parking: 1-car garage, one outdoor space; 2 vehicles outside.